Thanks for listening! Spread the word! • The Thinking Fan’s Guide to Walt Disney World: Epcot (includes an entire chapter on the soon-to-close Ellen’s Energy Adventure at the Universe of Energy in Future World). Get it on Amazon or order a signed copy (or book bundle) here! Please leave a written review for Zip-A-Dee-Doo-Pod on iTunes! Have you read one of Aaron’s books? Leave a review on Amazon! Be sure to “like” Zip-A-Dee-Doo-Pod on Facebook! While you’re there, “like” The Thinking Fan’s Guide on Facebook too! Send comments, questions, and feedback to podcast@aaronwallaceonline.com — or you can record an audio file and email it in! Follow Aaron and the show on Twitter! Music copyright The Walt Disney Company; Disney Music Group, etc., unless otherwise noted. Original content copyright Aaron Wallace. 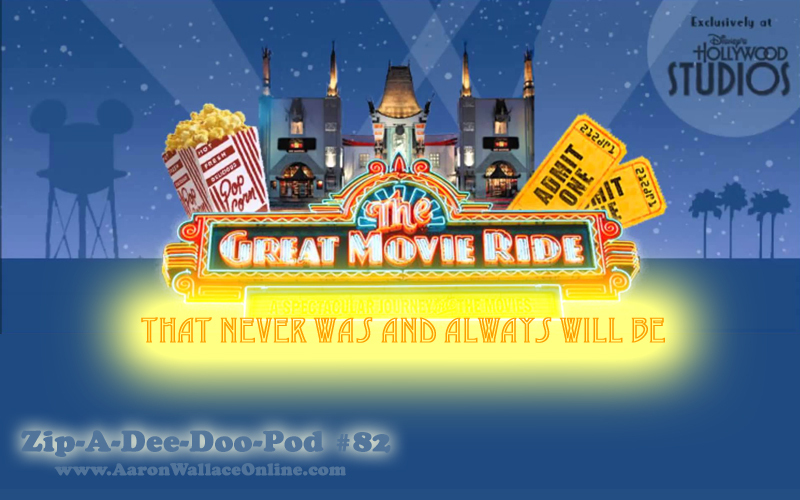 Zip-A-Dee-Doo-Pod is an unofficial fan podcast and is not authorized by, reviewed by, or affiliated with The Walt Disney Company, its affiliates, or subsidiaries. For more information, visit www.aaronwallaceonline.com.